Here is a very simple Step-by-Step guide on How to Unlock Bootloader on a HTC device. 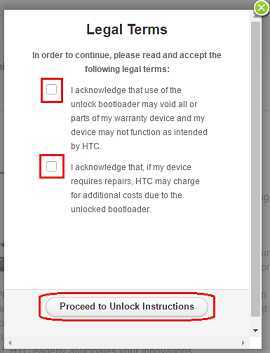 As per HTC’s new warranty policy and as part of the HTC phone bootloader unlock guide you will NOT lose your warranty. Don’t be excited because your warranty is NOT void but you still be careful doing this stuff because this is risky and may brick your device if the instructions are not followed exactly in order. Although you will NOT lose your warrant as part of this HTC bootloader unlock guide, but it is important to understand that there could be some other side effects if instructions are not followed properly. You MAY lose your data and hence before proceeding further you may consider backup your all data. You are the only person doing changes to your phone and I cannot be held responsible for the mistakes done by you. Go to http://www.htcdev.com/bootloader/, select your HTC device model (HTC One M8, HTC 10, HTC Butterfly 3 etc.) and click on Begin Unlock Bootloader. Make sure that you are already registered by now. If not then register to proceed further. On the pop-up opened on the browser screen, Read carefully and click on Yes and then on the next screen again Read the Legal Terms carefully, click on the check boxes and then click on Proceed to Unlock Instructions. – Put the device into Fastboot mode, for which you need to Goto Bootloader/Download mode. Make sure your HTC phone has enough battery backup. If you are ready then start the following process. Boot your HTC phone into Bootloader Mode/Download Mode (in HTC One M9 and later devices). To enter into Download mode, Power off your HTC phone, press the volume button and then holding the volume down button press the power button to boot into Bootloader/Download mode. In the Download mode, select fastboot mode. Use the Volume buttons to select up or down. Highlight Fastboot and press the Power button. Now connect HTC phone to the PC. Make sure that you have already installed the HTC Sync Manager PC utility software on your PC before connecting your phone to the PC. Here goes the detailed Step-by-Step process with screenshots. Make sure before proceeding you must have installed fastboot on your PC. 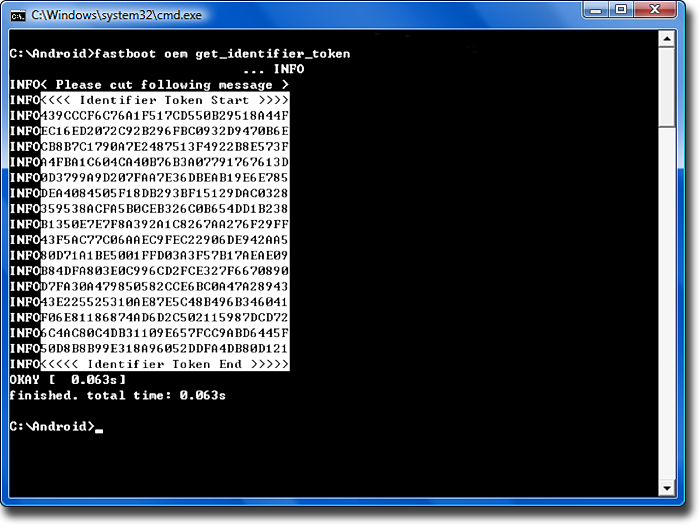 The download links that I have provided contains only the fastboot binaries in a zip file. You just need to extract the fastboot binary and keep some directory which should be easily accessible through the command console. The identifier token will be combination of Alphabets and number and spread across several lines. 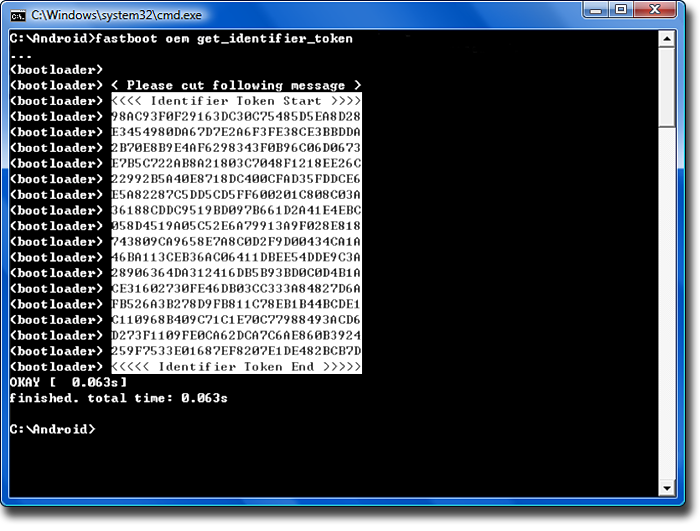 Copy the identifier token as highlighted in the above images. Only copy the highlighted sections above. Do not copy the INFO or (bootloader) prefix of the fastboot. To avoid this problem you first need copy all data to a text editor like, Notepad in Windows or VIM or emacs in Linux and mac and then edit the text to get what we really want. 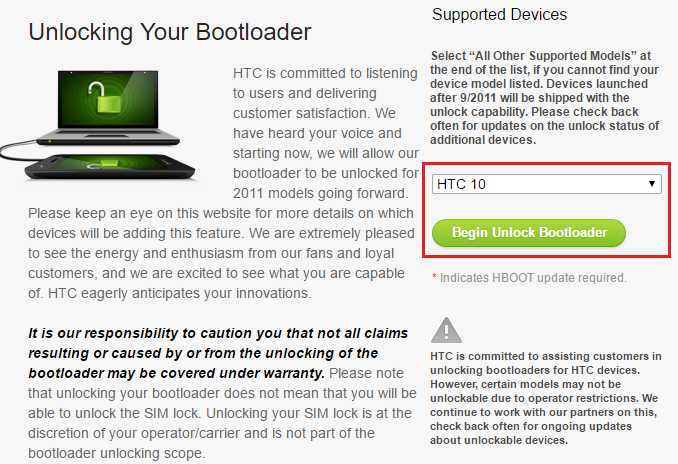 Now go to the second instruction page of HTC bootloader unlock guide: http://www.htcdev.com/bootloader/unlock-instructions/page-2 and then paste the identifier token that you have extracted from fastboot command output into a My Device Identifier Token box. Within a few seconds, you will get an email from HTC containing an unlock_code.bin file that is specific to your phone. Download and transfer this file to the directory on your PC where exactly you have kept the fastboot binary. After entering the above command, a screen will come up on your HTC phone asking you whether you really want to unlock the bootloader or not. Use the Volume key to highlight the Yes option, and select it using the Power button. The phone will reboot automatically. The first boot may take longer than usual and make sure you have taken backup of your data because everything will be gone as part of this guide which I had already mentioned in the DISCLAIMER section. Aaaahhhh…. It was really big and time consuming but now we are done at this moment. Your phone’s bootloader is now unlocked and you are good to go to play with your phone. Here is our HTC forum link for you to browse more stuffs around. 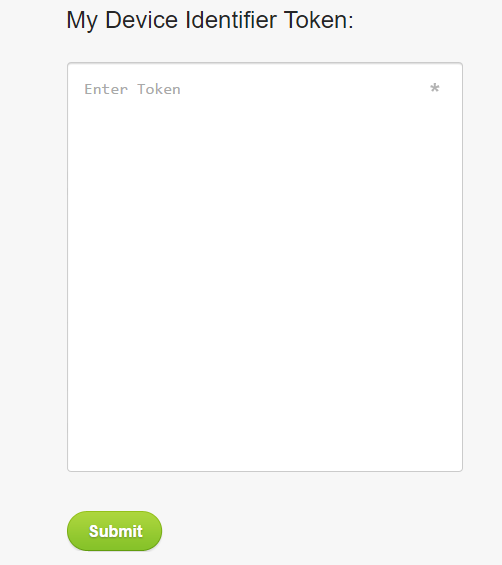 Stay tuned and login to leave a reply if you have any.